Keep your skin moisturised and smelling gorgeous with this Strawberry fragranced Body Butter. 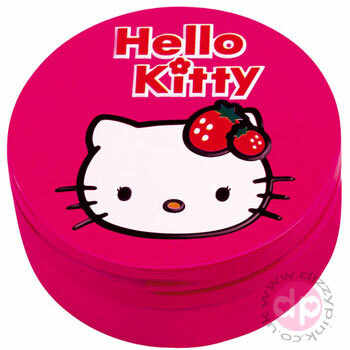 These cute tins are compact enough to carry with you everyday. Contains 75g of cream. (H) 3 x (W) 7 x (D) 7cm. PLEASE NOTE: Due to the dimensions of this item, it cannot be sent via Royal Mail Large Letter.